Just as a spring storm can surprise the blossoms with a frosty blast, setbacks and disappointments can arise without warning to blight our endeavors in life. At such times, it is natural for us to appeal to God, our Heavenly Father, for strength and assistance. Our hymn, "I Need Thee Every Hour" couches similar appeals in poetic thought. The author, Annie S. Hawks (or Hawkes), goes further to assert that we need the Lord in joyful situations as well as painful ones. Considering this in the context of our earthly human relationships, how much better do we feel about those who come to us to express gratitude and share the good things of life, compared with those who just bring us their problems to solve and ask for our help all the time? This positive frame of reference can provide a probable clarification to the wording of the first verse, where the possibly puzzling line, "No tender voice like thine can peace afford," may be read as: "peace does not have the capacity to provide (afford) such a tender voice as thine." Temptations vary in type and intensity. It is easier to resist raiding the cookie jar when Mom is in the kitchen. Similarly, if we have prayerfully sought to be close to the Lord and can feel His spirit present with us, it is easier to resist the big temptations as well as the everyday ones, like indulging in apathy and self-pity, venting our frustrations on others, excusing our mistakes, etc. The second verse expresses this idea succinctly in the thought that when the Lord is near to us (nigh), temptations lose their power over us, or we have more power to resist them. It is recorded that the hymn text was written in April of 1872 at a time of peace in the author's life. She is reported to have said that as she went about her daily housework as a wife and mother in her thirties, she felt a great sense of nearness to "the Master" and thought how hard it would be to live without Him in either joy or pain. The line "I Need Thee Every Hour" came into her mind and she then wrote the text, which was sent out "on wings of love and joy." The third verse particularly conveys the sentiments of this experience, concluding with the thought that without the Lord to come and continue (abide) with us, life is vain, or it has no real value. The author and her family were members of the Hanson Place Baptist Church in Brooklyn, New York, when she wrote "I Need Thee Every Hour" and it is stated that she took the hymn text to her pastor, Robert Lowry. He set it to music in 3/4 time and added the text to the refrain to bring it into the gospel song style. The hymn tune is known as NEED. This was not the first hymn text that had been contributed in this way; many other hymns were the product of this team. It is said that "I Need Thee Every Hour" was first published as part of a Baptist Sunday School Convention in November of the same year it was written. It then appeared the following year in the composer's collection of Sunday School songs titled, "Royal Diadem for the Sunday School," published in 1873 at Philadelphia, PA. See image below as found at us.archive.org. The hymn became quite popular, and it has been published in over 800 hymnals according to hymnary.org. The text and music sung today is the same as the original, likely due to Rev. Lowry's vigilance in copyrighting his publications. It is still included in many current hymnals, over 140 years after its first publication. 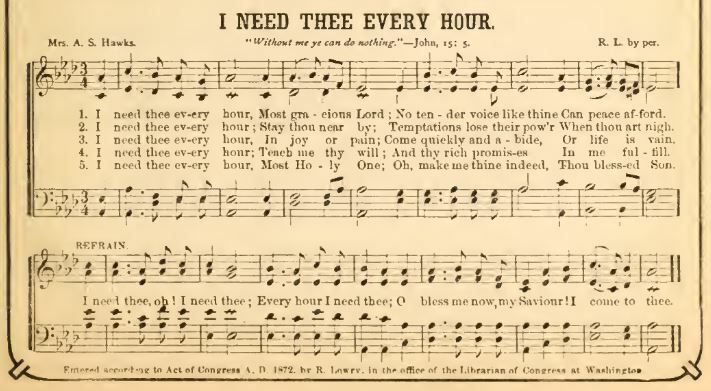 "I Need Thee Every Hour" was included with permission from the copyright holder in the 1905 edition of "The Latter-day Saints' Psalmody," published at Salt Lake City, Utah. This was the first hymnal of The Church of Jesus Christ of Latter-day Saints (LDS) to include both the text and the music. The hymn continued into subsequent LDS hymnals. In the current 1985 edition of 'Hymns, The Church of Jesus Christ of Latter-Day Saints,' the music was transposed to a lower simpler key. A classic hymn of discipleship, it reminds us to seek the Lord in all our doings so that His spirit can be with and bless us always. Annie Sherwood Hawks (or Hawkes) was born in May of 1835 at Hoosick, New York. Hoosick is a small town near the Hoosic River in eastern New York, close to the border with Vermont and Massachusetts. Little is known of her early life, but she was evidently raised in a devout Christian home, she was well educated and had a literary gift. It is said that she was writing poetry, which was published in newspapers at the age of fourteen. In 1857 at the age of about twenty-two, she married Charles Hial Hawks, who was also born in Hoosick. Annie and Charles had several children, although at least two of their children died before the age of three. Their names are listed on the parent's cemetery headstone: Marvin Sherwood Hawks, and Bessie Dean Hawks. It seems likely that the son could have been named after his maternal grandfather. The family moved south to Brooklyn, New York and spent many years there. As mentioned elsewhere in this article, they attended the Hanson Place Baptist Church, where Robert Lowry was pastor for a time. The church, with its Corinthian pillars, is located at the corner of South Portland Avenue and Hanson Place. It was completed in 1860 and is an architectural landmark today. 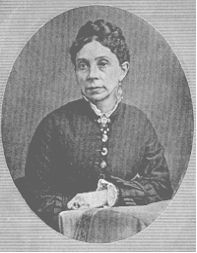 Annie contributed many texts to a number of Sunday School hymn collections edited by Rev. Lowry, who is understood to have encouraged her writing. It is said that she wrote about 400 hymns in her lifetime. As mentioned, she was no stranger to grief when she wrote "I Need Thee Every Hour" but she is reported to have said that it was written in a time of serenity and she did not fully understand why the hymn touched people the way it appeared to until her husband passed away in 1888. She was left a widow at the age of about fifty-three, and gained a new perspective of the message she had been inspired to write. Annie went to live with her daughter and son-in-law in Bennington, Vermont, where she lived for almost thirty years before passing away in January of 1918 at the age of 82. She left us an example of how talent can be developed and used to bless others while living a seemingly ordinary life. I need thee, oh, I need thee; every hour I need thee! Oh, bless me now, my Savior; I come to thee! I need thee every hour; stay thou nearby. Oh, make me thine indeed, Thou blessed Son! Robert Lowry was born to Crozier Lowry and his wife in March of 1826 at Philadelphia, Pennsylvania. He was said to have exhibited musical interest and talent early in life. He became a member of the Baptist faith as a teenager and became involved as a Sunday School teacher and music leader at the First Baptist Church of Philadelphia. This was evidently an influential experience as he decided to enter the ministry. 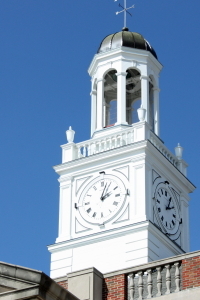 Robert went northwest to Lewisburg, PA, at the age of twenty-two, and attended the newly founded Baptist University at Lewisburg, now known as Bucknell University. The journey would have been by stagecoach, canal boat and train at that time. The classes were held in the basement of the First Baptist Church until the first building on campus was completed in 1850. Robert graduated with highest honors and began his ministry in West Chester, PA. From there he served in several places including Brooklyn, where he met Annie S. Hawks and her family, as described above. 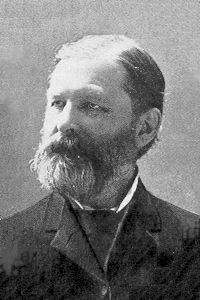 He would return to serve in Lewisburg, which gave him the opportunity to teach at the University. The University granted him an honorary doctor of divinity (DID.) degree on his departure in 1875. Robert went to Plainfield, New Jersey where he became pastor at the Park Avenue Church. He would stay in Plainfield for the remainder of his life, with the exception of a few years spent touring in Europe and North America. He was described as a multi-talented man with administrative ability, literary and musical abilities as well as Biblical scholarship. He was said to have a genial personality and sense of humor combined with the ability to paint vivid verbal pictures in his brilliant sermons. It is said that his main joy was found in preaching the gospel; music and hymnology were a recreation. He was reported to have said that he usually wrote the music on paper before he ever went to the organ, it would come to him sometimes in combination with the text and he would write on whatever he had at hand. Several hundred works came from his pen. Robert Lowry passed away at his residence in Plainfield in November of 1899 at the age of seventy-three. His hymns continue to preach the gospel and do good as he tried to do in his life. e tried to do in his life.